Do you enjoy a good breakfast to start your day? BCS Wealth Management invites you and a guest to breakfast at Maple Street Biscuit Company in Johnson City. This casual event will be on Tuesday, April 30. Feel free to drop in at your convenience between 7:30-9:30am. Breakfast and coffee will be compliments of our firm. If you plan to attend, please RSVP to Carolyn Kerr at ckerr@bcswealth.com or by calling our office at 423-283-9821. We look forward to seeing you there. 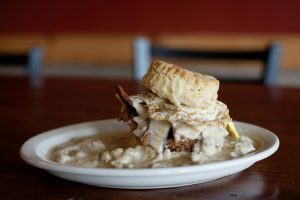 Maple Street Biscuit Company’s address is 1033 Hamilton Place Drive, Johnson City, TN 37604.